Hey, folks, we’re still here, still practicing, still working on new songs. One of our key members is working through some serious health issues but we’re planning for a local gig in February. Stay tuned! 3rd Annual Food Bank Benefit! It’s our 3rd annual food bank benefit! 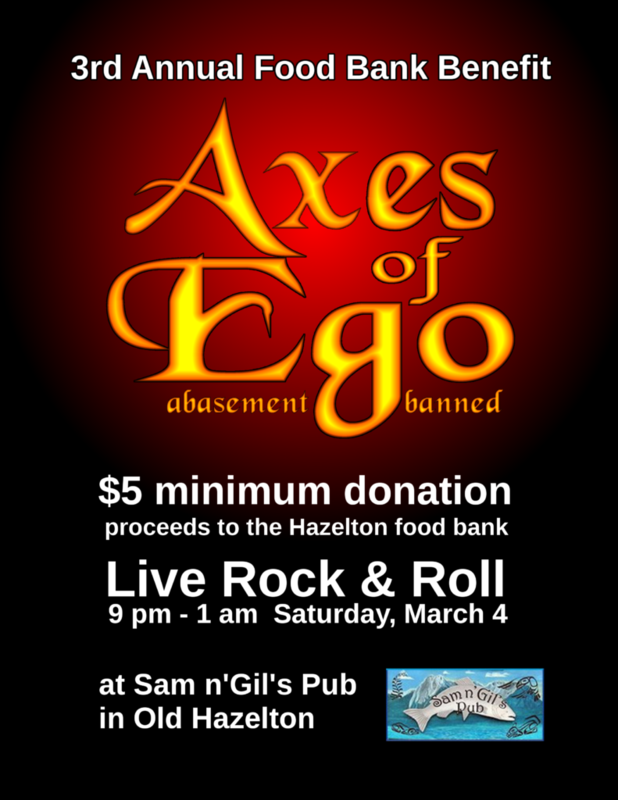 Saturday, March 4, 9 pm to 1 am at Sam & Gil’s Pub in Old Hazelton. $5 minimum donation at the door. All proceeds go to the Hazelton food bank so feel free to donate more! 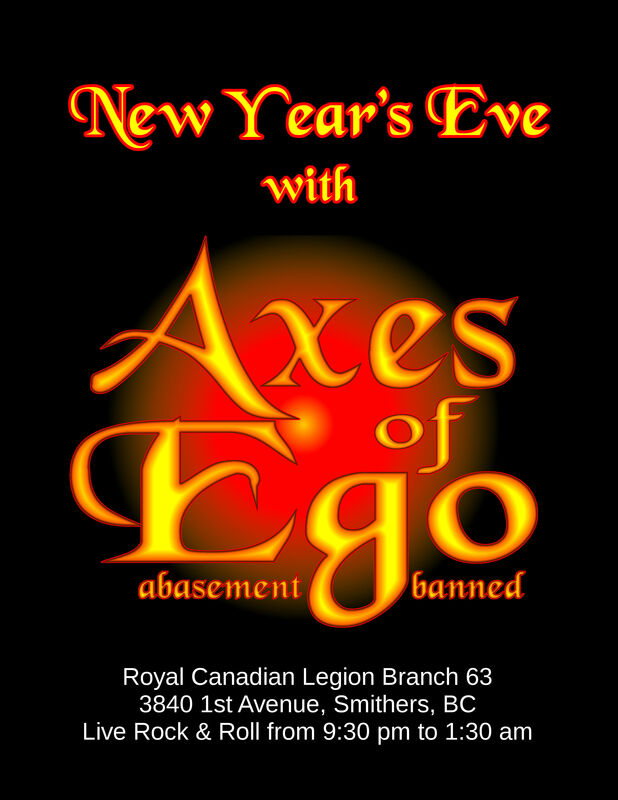 We’re playing the Halloween dance at the Smithers Legion on Saturday, October 29th! Get costumed up, come on and rock out! 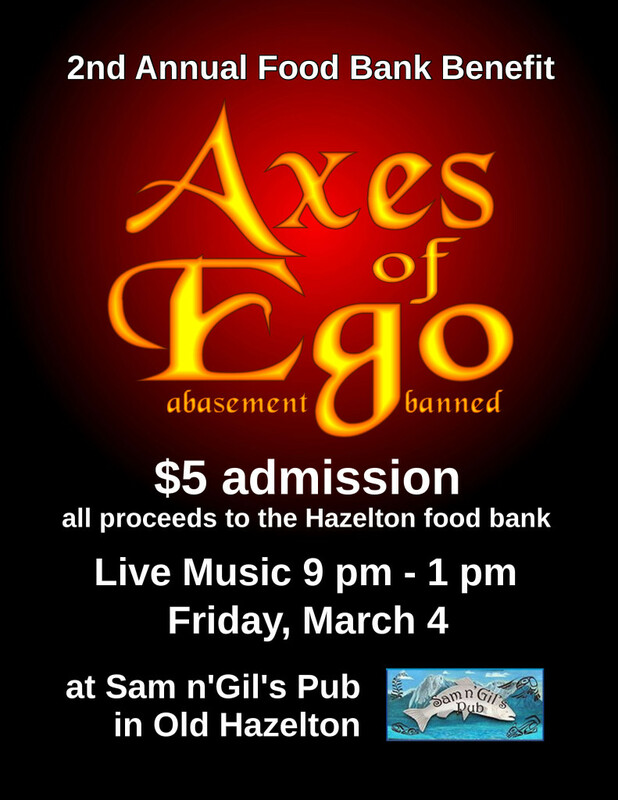 We’re playing at Sam n’Gil’s Pub in Old Hazelton this Saturday, 9pm – 1 am. Admission by donation, all proceeds to the food bank. Free Outdoor Concert this Friday! Free Outdoor Concert this Friday with Axes of Ego! Great classic rock and blues sprinkled with rockin’ original compositions. Put on your outdoor dancing shoes and come out for some fun! 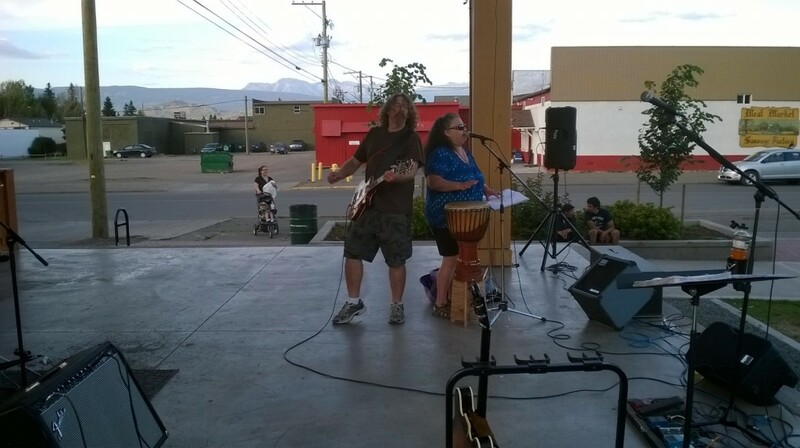 If you’re gonna be at the Kispiox Valley Music Festival today (Saturday) – or if you think you might want to be – check us out on River Stage at 3 pm. We’re going to start with something we haven’t done at KVMF before!